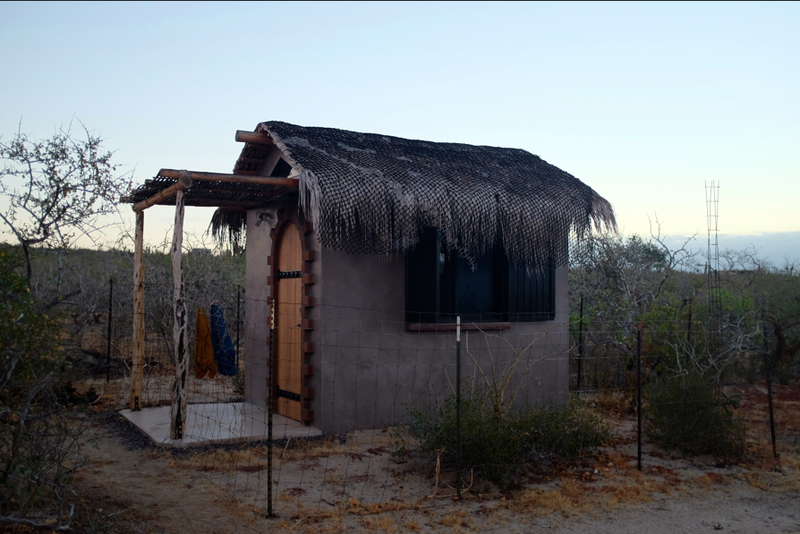 Stand Up Paddle Surfing: Home sweet, southern Baja, home. Three hours from Punta Conejo is the Peanut. 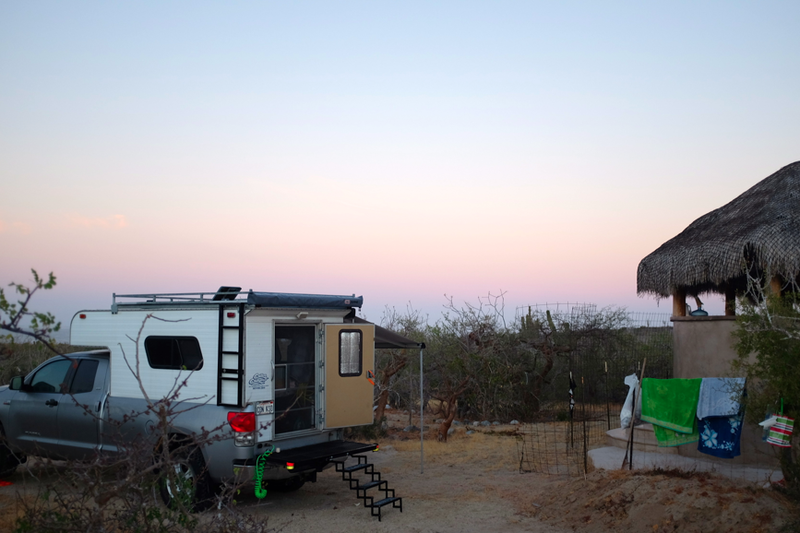 The Peanut is our home down here in southern Baja and after a couple days of roughing it in the Conejo sand we decided it was time to head for our home base. At the Peanut, life is pretty good, we've got shade, a clean place to cook, a sink with running water. Best of all, we've now got a brand new bathroom with a flushing toilet! All carved out of a piece of desert where there is no electricity or water supply (our water is trucked in). CON KSO at the Peanut docking station. The newest addition- a legitimate flushing toilet. The best thing about the Peanut is its close proximity to a few different surfing options. 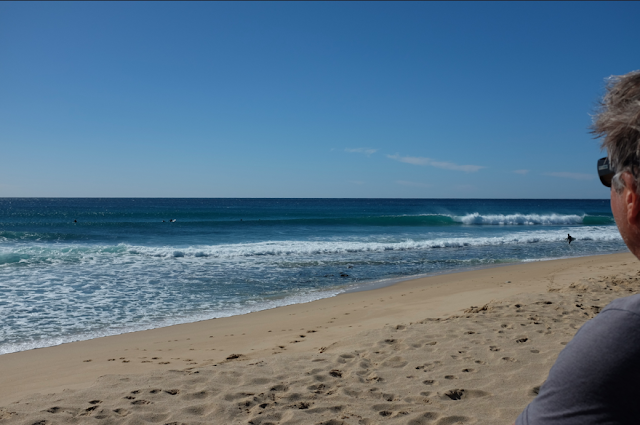 Within a few hours in either direction we've got right and left point breaks, beach breaks and a couple reef breaks too. Now, to be honest, none of them are what you'd call "world class" and it takes a lot of good luck to catch any of them on a really good day but, they're nearby and if you can read the weather signs, you can score some good days. Lucky for us, the second day we were here, the winds started to clock around to straight offshore. When that happens, the surf starts getting really good. The winds switched offshore and the surf went from okay to seriously fun. 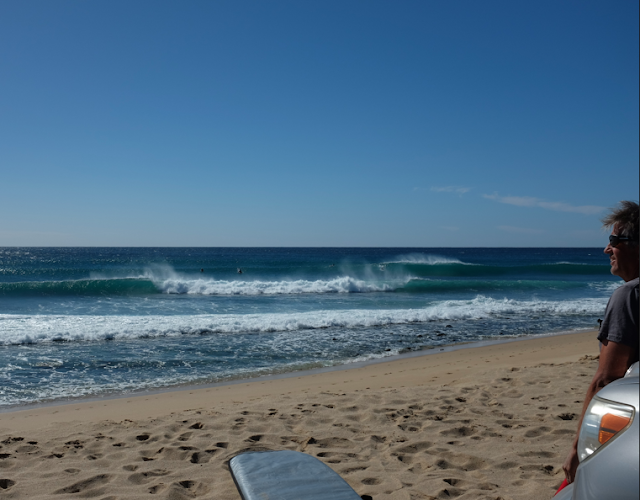 Nothing too big or life threatening just good shoulder high fun waves. Rumor has it, something bigger is on the way. We've been surfing the local point (about a 5 minute drive from the Peanut) for the last couple days. I'm cooked off, sunburned and tired. The rumor on the beach is that something size-able should be here in the next couple of days. If the winds cooperate, I may be pulling up stakes and launching a surf patrol to the spot that's been inhabiting my brain for the last year. It's time to scratch the itch. The best part of surfing down here is hooking up with old friends, my good old buddy Marcos lives down here about 6 months out of the year and surfing with him is a highlight. 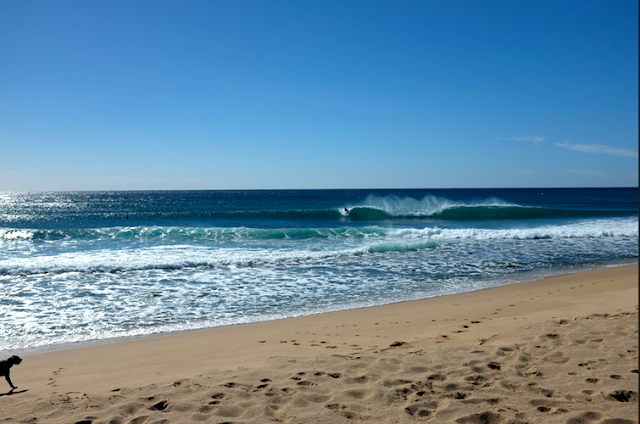 Surfing with friends is the best and during the winter, coming down here is like a reunion.